Home / #California / #US / #US_Politics / #USChronicles / #USLocal / #USPolitics / California / True News / U.S. / #US,#Politics: Can California vote for the separation in 3 states in November? 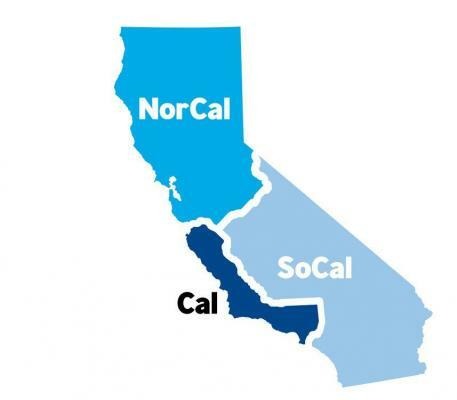 #US,#Politics: Can California vote for the separation in 3 states in November? A venture capitalist billionaire said he received enough signatures to get a measure on California's November ballot that asks voters if they want to split California into three states. Tim Draper, the chairman of Cal 3, the organization pushing the measure, said they've obtained more than 600,000 signatures -- nearly twice the number needed to get on a state ballot -- and will present them to the California Secretary of State for verification. "This is an unprecedented show of support on behalf of every corner of California to create three state governments that emphasize representation, responsiveness, reliability and regional identity," Draper said in a statement. GET A RUN TO BLUES & ROCK ! The measure would separate the Golden State into California, which will be the coastal area between Los Angeles and Monterey; Northern California, which will include everything north of Merced, including San Jose and San Francisco; and Southern California, which will include the area west of the new California and south of Los Angeles. "The separate states are based on existing counties; statehood promotes a sense of community among residents and builds culture," Cal 3 says on its website. " Areas like Sacramento are currently run by powerful special interests like the Teachers' Union. Partitioning the state will help put the power back into the hands of the constituents. If the new state's elected officials aren't meeting the needs of the state's citizens, it will be easier to vote them out of power in the next election." This isn't the first time Draper, an early investor in Tesla and Skype, has tried to divide California. Back in 2014, he spearheaded a measure that would have asked voters to divide California into six states, but failed to win enough signatures. Steven Maviglio, a longtime Democratic Party political consultant who helped lead the effort against Draper's 2014 measure, told the Marin Independent Journal that there's no official opposition group working against Cal 3, but said he and others have discussed it. Maviglio criticized CAL 3 as a "a colossal waste of time." "It's completely unworkable and ridiculous," Maviglio said. "It's kind of a shame with so many important issues facing the state that this wacky idea might appear on the ballot." If voters were to approve Draper's ballot, it would still need to be approved by the state legislature and the U.S. Congress.